This endearing combination of four balloons is ready to add fuel to your patriotic nature. 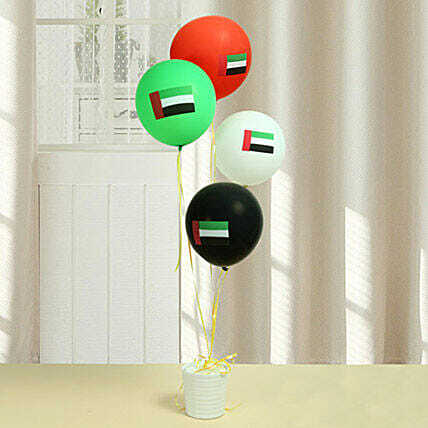 This red, white, green, and black colored balloons with the imprint of the National Flag of UAE is the best thing to be gifted among us to celebrate with pride. So, spread the colors of this flag into lives of people.